- Easy to fix & repair when damaged, unlike fibreglass material which will crack and tear easy. - Light & easy to paint, different as PU material. - Preferred type of material used by majority of panel shops. - Screw positions & brackets are as close to factory mount positions. - Exact same material (PP) used in most luxury car body parts. - On-car pictures are for demonstration purposes only, these may not present the actual item, please contact us if more information is required. - We also have more models available, please Email us if you can't find your specific model. - If the item is out of stock, please allow more time to restock. - Our warranty is only applicable if fitment issues should occur, all finishes of this item, such as chrome moulding or gloss paint are not covered. - Professional installation is required, warranty claim will not cover any associated costs in regards to labour, or any other expenses incurred or associated with the purchase of part(s). MARS Performance aftermarket parts are not approved by or otherwise associated with the MERCEDES-BENZ Group. These products are not genuine MERCEDES-BENZ accessories manufactured by or with the approval of the MERCEDES-BENZ Group. Warranty doesn't cover physical damages, both structural and surface. Missing/damaged parts/components must be reported within 7 calendar days* upon receipt of the order, we are not liable for any claim on missing/damaged parts/components beyond this 7 calendar day window regardless of any postage insurance purchased. Parts are covered with a 12 month limited conditional warranty provided by the manufacturer and applies to all parts sold, unless otherwise stated at the time in the listing description. The warranty covers the replacement of the part(s) only, and does not cover any associated costs in regards to labour or any other expenses incurred or associated with the purchase of the part(s). We will issue a replacement part(s) at no cost (Postage costs for posting out replacement parts will be the buyer's responsibility). In some cases the faulty/defective part(s) may be required to be returned back to Mars Performance, if the part is repairable or required for assessment to analyse the problem with the part, in this case the buyer will be responsible for any costs associated with posting these part(s) back to Mars Performance. If a replacement part is not available, a refund of the original purchase price will be issued. Our liability at any and all times, and under all circumstances, will never exceed the original purchase cost of the item. The parts that we supply are intended for installation by qualified installers. Warranty will be void due to improper installation. Customs import duties, taxes and charges are not included in the item price or shipping charges. These charges are the buyer's responsibility. Please check with your country's customs office to determine what these additional costs will be prior to bidding/buying from us. Please note that all items sold by Mars Performance are predominantly for the Australian and New Zealand market only, however, some items are compatible with other countries. For countries outside of Australia/New Zealand, we do not take responsibility for any of the products we sell that may not function or fit properly, it is the buyer's responsibility to make a careful and calculated decision before purchasing. Due to this, items sold by Mars Performance to buyers in other countries (other than Australia/New Zealand), may or may not be road legal for their respective country of residence. *Pictures of parts received may be requested for missing part claims; if the claim is against damages, pictures of damaged parts must be presented within 3 days upon delivery, delivery time is subjected to the courier's tracking information. Any Products returned for a refund or exchange must be returned within 14 days of purchase. For any return, you must Email our Mars Performance staff and explain in detail, the reason for the return (attach any pictures if necessary/needed to show the issue/query, via service@marsperformance.com.au). The next stage (if agreed by us to continue with a return) will be to obtain from us, a Return Merchandise Authority Number (RMA). We will then email your (RMA) number with our return address for the item(s) to be returned (in its original packaging and in a resale-able condition) with our return conditions. You should also ensure that the contents are safely packed (as they were originally with original packaging) and/or add any extra packaging you deem necessary to prevent any damage to the product(s) once we receive it. We reserve the right to not refund your order and if necessary return your order back to you at your cost for delivery, if we find that your order is returned to us damaged/or not in a (resale-able) condition or WITHOUT an RMA number. We may in some cases offer a partial refund that we deem is appropriate depending on the condition of the returned item(s). We will contact you once your return arrives at our Warehouse and advise of any issues, or refund (if applicable). All returned product(s) are to be posted back to Mars Performance by Australia Post (via regular parcel post with tracking) or depending on the product, a carrier that is suitable for the product you are returning. You MUST contact Mars Performance before any item(s) are returned/posted back to us, so that we may choose an appropriate carrier and service, where Mars Performance is responsible to pay for return postage costs. Any items that are returned/posted back to Mars Performance without our consent and where the buyer has made their own choice of carrier service, Mars Performance will not be liable to pay the return postage. If the buyer also attempts to return/post any products back to us without any tracking and without our consent, and the item is lost/missing during transit, we will not be responsible, and the buyer shall not receive a refund for any such return, regardless for the reason of return. Any item(s) that are to be returned back to us, we STRONGLY advise that they be insured for your protection and peace of mind if any issues should occur with your return. The return shipping cost will be at your expense, (except for orders that have been dispatched incorrectly by us), in these matters, we will bare the cost's for the return postage. We reserve the right to investigate, and test the Products (if at all possible) to establish the reason for the Products being defective. Defective Products will be replaced or refunded within 14 days of receipt of the returned Products. For Products that are deemed not defective or returned due to incorrect ordering by the buyer, you will be charged a restocking fee equal to your original orders shipping (our cost to post the item(s) to you) & handling cost, plus 15% of that cost. You must include with your exchange/return your Return (RMA) or we will not process your return. Products, defective or not, that have been installed, used or operated or have been altered/modification in any way, (including products such as wheels fitted with tyres and not tested for fitment, including products that require painting, which are painted by the buyer, but not tested for fitment purposes prior to painting) subject to misuse are NOT eligible for a refund or exchange. Orders are generally dispatched in two business days (NOT including weekends)from cleared payment, not including PRE-SALE ITEMS that we list from time to time. Request for orders to be dispatched immediately, or less than the advertised two business day handling time, will not be permitted. In rare cases, orders may be dispatched from our overseas supplier, we will however notify you of such cases, in these situations please allow more time for delivery. Times for delivery will vary by region/country, buyers (the addressees) are liable for all customs duty/tax and charges at the destination region/country. 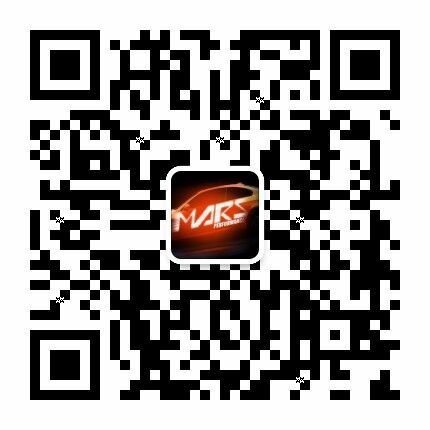 Mars Performance, will use the appropriate transport carrier, at their discretion for orders. All orders require a signature on receipt of delivery , we do not take requests for order to be left at premises such as, leave at the door if no one is home, or leave behind the back of the house/premises etc. b) Purchasers failure to pick up an item from the carrier upon being notified of an unsuccessful delivery attempt by the carrier. Customers will be able to track their orders online, with the tracking information provided (via email) once orders are dispatched, if you have not received any tracking information, please eBay message us and we will provide this for you. Where everything is made possible to ensure your delivery is dispatched promptly (currently 2 business days from cleared payment), we are however, not liable for transit delays, issues with couriers, natural disasters etc, that may occur and affect delivery times of your order (which will affect ETA delivery dates). Mars Performance do not take responsibility for broken or lost items via transit. These incidences can occur, but are rare, and we will do everything possible to assist you in the unfortunate event if it does. Please be aware also (for all customers’ local and International), we will only send items when paid via PayPal, to PayPal addresses ONLY! We will not accept any requests for change of address, product changes, such as colour, swapping for another model etc. (NO EXCEPTIONS! ), in this case we will refund your order and ask you to re-purchase with the correct address/product that you would like, providing that it is in stock at the time of listing. 2006-2019 © MARS PERFORMANCE. ALL Rights Reserved. All trademarks and trade names are the property of their respective trademark holders.